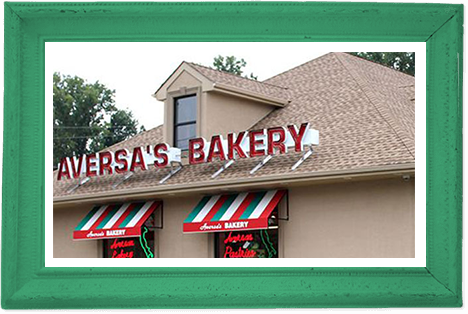 Aversa’s newest location is on Greentree Road in Washington Township. It is the second location in the area. In 1982 when the original Turnersville store opened the town was smaller and the bakery was easy to get to from all corners. As the bakery grew the town was growing simultaneously. It became hard for people to travel to the bakery from across town, creating the need for another store. The Washington Township bakery is the first bakery/deli Aversa’s has opened. They ran with the success of the sandwiches and decided that freshly slicing the meat for each sandwich ordered would make the hoagies just that much better! You’ll still find all of the traditional products you have come to know and love along with a wide variety of fresh meats and cheeses which you can buy by the pound. There is a great sandwich menu and you also have the opportunity to create your own! Choose whichever freshly baked roll you’d like your sandwich on, choose from their unique variety of cheeses or the traditional sharp provolone, pick your meats and toppings and enjoy! You can also get the famous breakfast pastries, bread, desserts, and prepared meals that you have come to love as well! Ralph, his wife and his children invite you to come to one of their bakeries and join in their family tradition. Ralph Aversa was born in a little town called St. Catarina, in Calabria Italy, where he spent his childhood on the family farm milking cows and using their milk to make fresh mozzarella cheese. He developed a passion for fresh food that did not end there. At a very young age he was impressed with the inner workings of dough, especially intrigued with the idea that “bread is alive”. He watched in amazement at how it would rise and continued learning and perfecting his bread making skills. In the afternoons, after school, he apprenticed in his uncle’s small bakery shop “Il Panificio”, where he would round bread and shape long baguettes by hand. The bread was well known and it was difficult keeping up with the demands of all the eagerly awaiting customers. At the young age of 14 Aversa had to leave his hometown and come to America to work. When he arrived in Philadelphia in the early 1960s, his aunt got him a job working in Cacia’s bakery in South Philadelphia which ended up being a fortuitous move. He continued to rise before the sun and work hard to make the dream of owning his own bakery a reality. 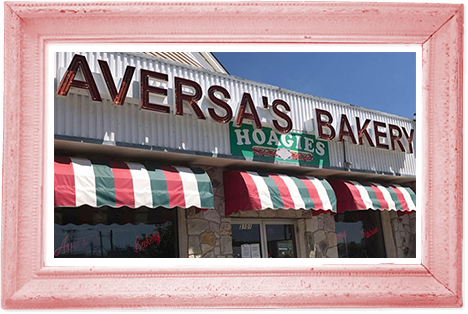 He married into the Cacia family and eventually, when his children were small, the Aversa Family moved to New Jersey so he could open his first eponymous bakery. 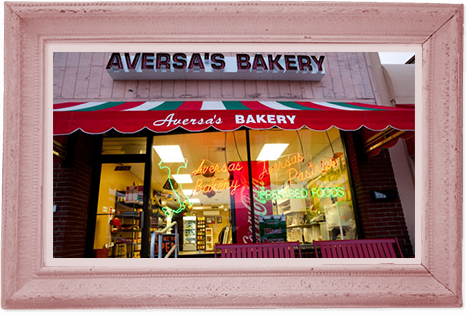 With the help of only one employee, Aversa’s bakery started as a one room operation where they sold bread, pizza and Stromboli. As times changed, so did the bakery. Bigger companies started purchasing bread and rolls, and the word spread. The original Turnersville store has grown to become a spacious 3800 sq. ft. Italian specialty store, featuring hundreds of products imported straight from Italy as well as many homemade breads, pastries, prepared foods, and gift baskets made on premises. It is a family owned and operated business, with long time employees that have become part of the family. We are currently building a new store on the corner of South Black Horse Pike and Wilson Road (next door to the existing Turnersville store) that will replace the original retail store and will be opening in the summer of 2011! This store will feature the same products you already know and love in a new modernized bakery- unlike any other in the area. Year after year more and more customers were traveling from areas that were a half hour or more away from Brigantine just to get their bread and pastries for the week. After years of hearing that they needed to open another shore location, the Aversas finally found the perfect location on Ventnor Avenue in Margate. Customers that were previously driving from Ventnor, Margate, Longport, Ocean City, etc. could now visit the bakery on a daily basis rather then driving the distance once or twice a week. The Margate store, which is slightly smaller then Brigantine, quickly took off. The prepared meals were a hit, and Margate soon became your one stop shop for breakfast, lunch, dinner, and dessert. As the first store serving a variety of freshly made salads and wraps, Margate created a new venture for Aversas. The new salads, wraps, and hoagies quickly became popular. The Brigantine and Turnersville stores began making them also, providing a new healthy option for their customers. The Margate store is currently open seasonally from early spring until late fall. Keeping to their family oriented traditions, Ralph wanted a place where the entire family, which was growing year by year, could visit and enjoy each other. What better place then the shore? After purchasing a house in Brigantine in 1997 he quickly grew to love the town and its residents. They were close knit and treated newcomers and long time friends all the same. It was much like having a large extended family and he decided it would be a good place to open another store. In 2002 a smaller bakery was opened on Brigantine Avenue. The town quickly relished in the delicious smells of the early morning bread and cinnamon buns in the oven. The Brigantine store concentrated more on retail and less on wholesale allowing the pastry chefs and cooks to perfect the current recipes and create new and delicious homemade products for the customers to enjoy. 8 years later the Brigantine store has become what Ralph had envisioned and much more. 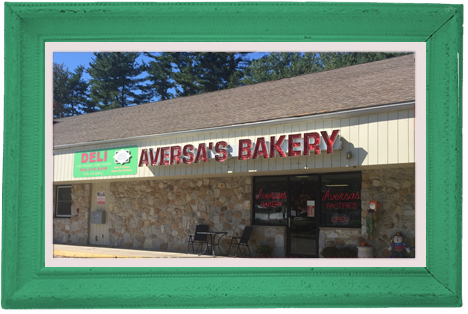 The Aversa family hopes to continue to serve the island and its surrounding towns for many years to come.